People with jobs believe that their ‘income’ is representative of their wealth. The questions they ask are “who do you work for?” “How much do you earn?” or “what car do you drive?” These people fall into the category of “looking good, going nowhere”. They buy stuff to look and feel rich. To sustain their lifestyle they continually work harder, longer hours and constantly educate themselves to become even more specialized. A paycheck, no matter how big, cannot be defined as wealth or riches. Most people think that getting a bigger paycheck or salary is making them richer. Nothing can be further from truth. In fact 95% of people spend every dollar they earn. By the way acronym for job is “Just Over Broke” We need ‘cash flow’ to pay our bills, put food on the table, send our kids to school and sustain any kind of lifestyle. But if your ‘cash flow’ is solely reliant on your paycheck then you are at grave risk. You can fall ill, have an accident or lose your job. Ask millions who have lost their jobs in the financial downturn. Having a job severely restricts your cash flow capabilities. You can work for only ‘X’ hours in a day. Your pay check will be limited to number of hours worked multiplied by your hourly rate. Your first step to creating wealth comes when your ‘cash flow’ starts coming from passive income rather than paycheck. In other words, your investments and businesses pay you money whether you set out of bed or not. Your next step forward is to create long term passive income cash flow backed by solid asset base. Wealth is all about owning assets. However an asset must have both capital growth and income. Don’t buy property first if you want to become rich or you will become ‘asset rich’ and ‘cash poor’. You must first concentrate on generating a rather large passive income. Cash flow not only supports your lifestyle but also has the ability to get loans to buy income producing assets. Passive cash flow is generated out of investments (paper assets or properties that are fully paid for), businesses that have systems in place and do not require your day to day presence, or your income generated as a result of royalties from intellectual property rights that you have created. To grow rich you have to make either money or people work for you even when you sleep or are holidaying on the beach. The quickest way to become rich fast is to generate massive cash flow through a business that has proven systems. You then have to buy assets that give you not only passive income but also capital appreciation. If you do not have a huge capital to start a business, then join a good network marketing company. 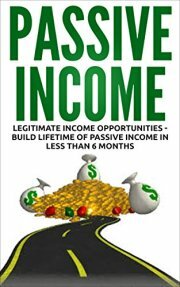 It is not only a good passive income generator but you will also get personalized coaching in business, marketing and leadership skills from those who have stakes in your business. 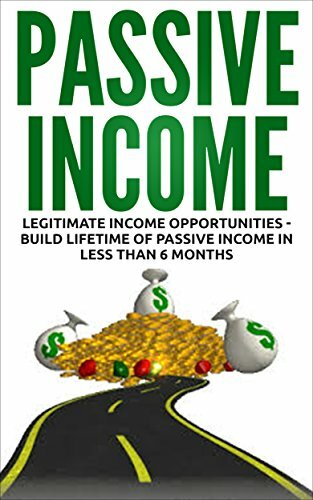 So every night before you go to sleep calculate the number of hours you have spent in creating passive income for yourself as against the number of hours you have spent in generating linear income that has helped others get rich because of your effort. You must set a target each day to add more and more hours towards generating passive income. If you do this simple exercise on a regular basis you will take a giant leap towards attaining financial freedom.